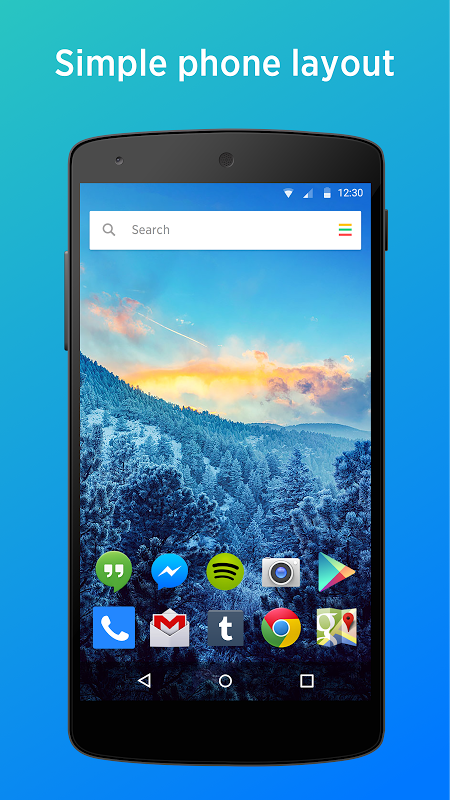 Upgrade your Android free of charge. Yahoo Aviate automatically organises your apps and information so that you can save time and quickly find what you need, when you need it. 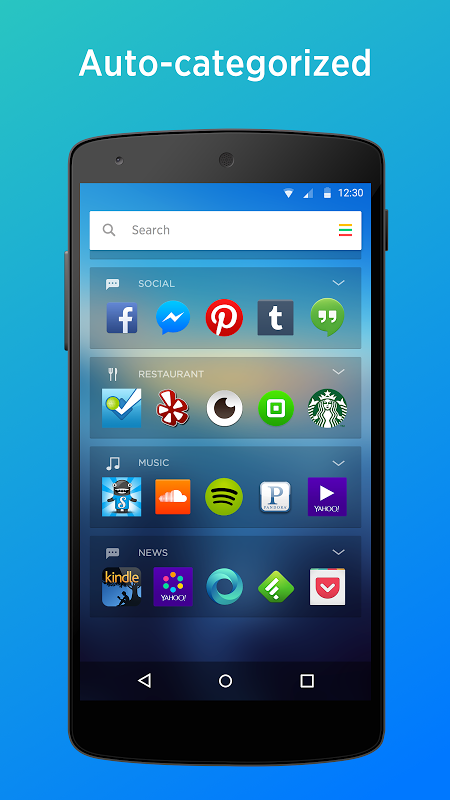 The Yahoo Aviate launcher is not only gorgeous, but smart too! This homescreen anticipates information and apps that could be useful to you based on where you are and what you’re doing. KEY FEATURES Simple, beautiful navigation - clutter-free, easy-to-navigate screens make every interaction faster and more efficient. Smart Stream - an intelligent stream of useful cards to the left of your homescreen: battery saver, upcoming events, weather and so much more! 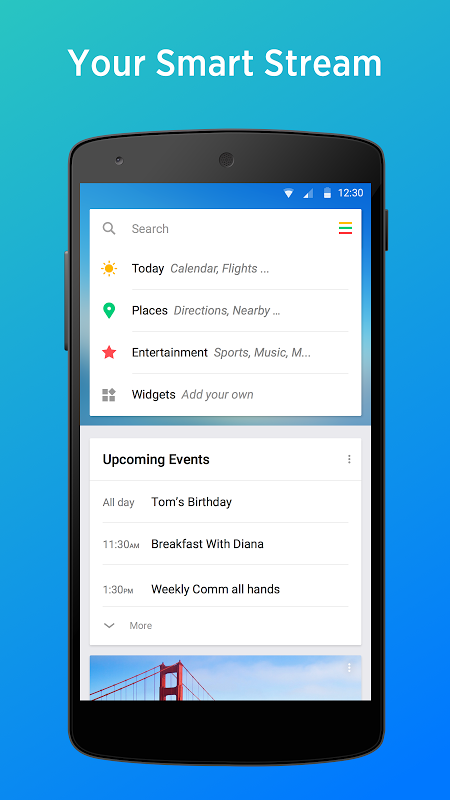 Organised - apps are organised by function. You decide which ones you want to see. Gorgeous - choose from hundreds of unique wallpapers to make your phone a fashion statement. 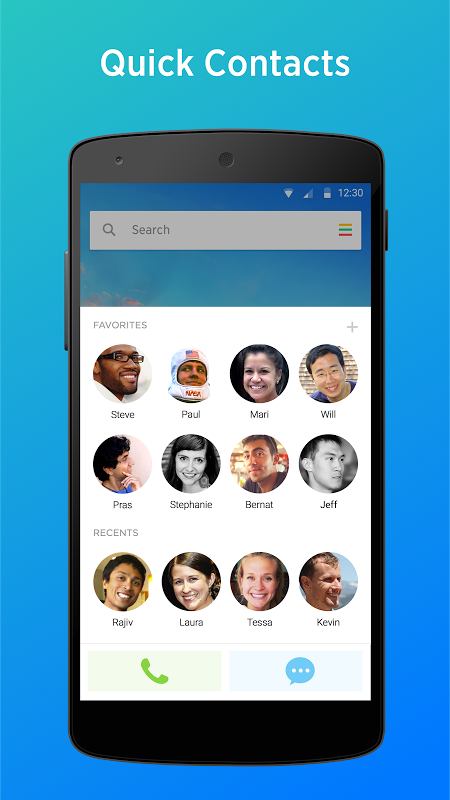 Favourite people - swipe up instead of digging through your contacts. Better every day - your homescreen will look and feel very different, but stick with the launcher for a few days and Aviate will feel like home in no time. Search - the convenient search box allows you to quickly search the web, your contacts and your apps - or jump directly to a specific set of cards. 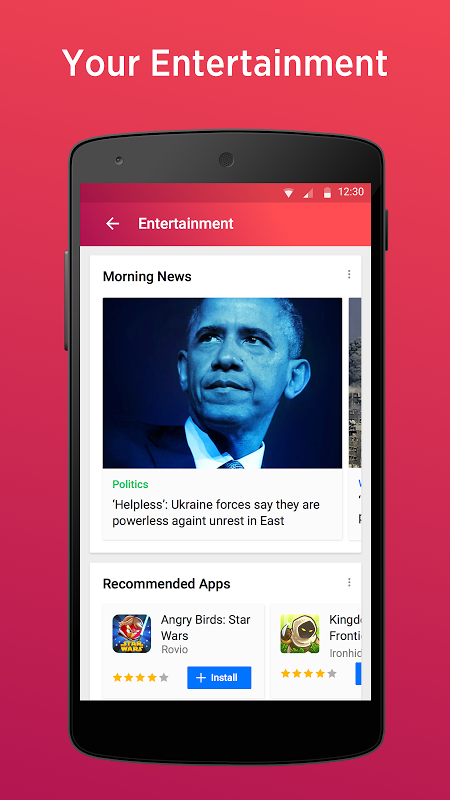 EVERYDAY USES ★ In the morning, check the weather and view your agenda for the day. ★ Headphones instantly pull up music apps and information about bands and artists. 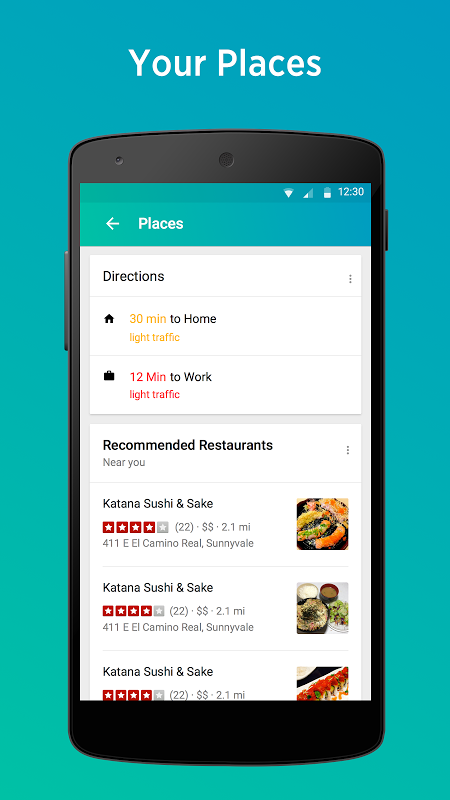 ★ When you’re out and about, see photos, tips and reviews for places nearby. Any questions? Take a look at our Help page: https://help.yahoo.com/kb/aviate Or email customercare@aviate.yahoo.com to learn more about Yahoo Aviate and the permissions that we request. Follow us https://twitter.com/Aviate https://www.facebook.com/YahooAviate THANK YOU for installing Yahoo Aviate - we hope you love it.  Is Yahoo Aviate Launcher yours? Claim it!